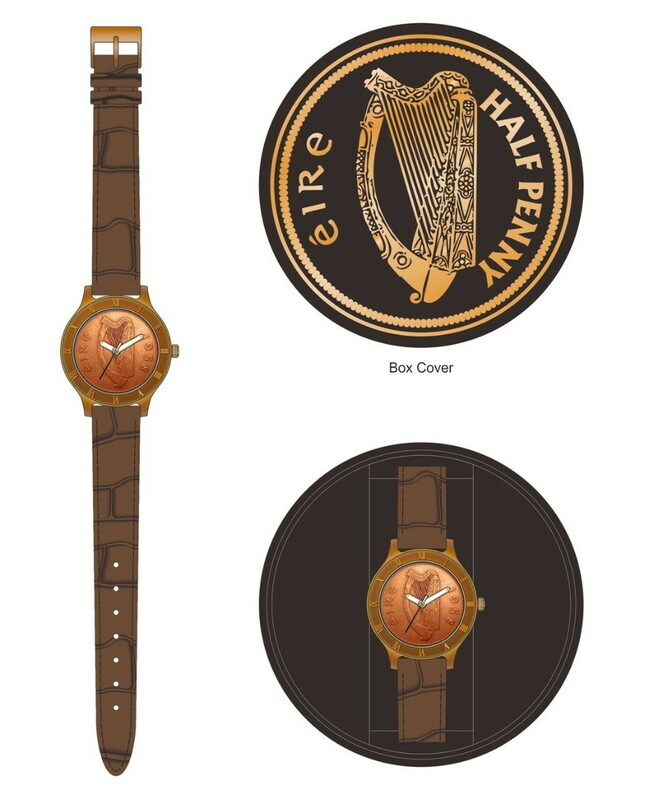 Irish Halfpenny Ladies Brown Strap Watch A beautiful ladies watch with an old irish halfpenny harp face, roman numerals and brown leather strap. The Halfpenny coin was the second smallest denomination of the pre-decimal Irish Pound, worth 1/480 of a pound or 1/24 of a shilling and was introduced in 1928. First issued in 1928 it ceased to be legal tender on 1st August 1969. The Halfpenny obverse featured the Irish Harp. The reverse was designed by the artist Percy Metcalfe and featured a sow. From 1928 to 1937 the date was split either side of the harp with the name Saorstat Eireann circling around. From 1938 to 1968 the inscription changed to Eire on the left of the harp and the date on the right. 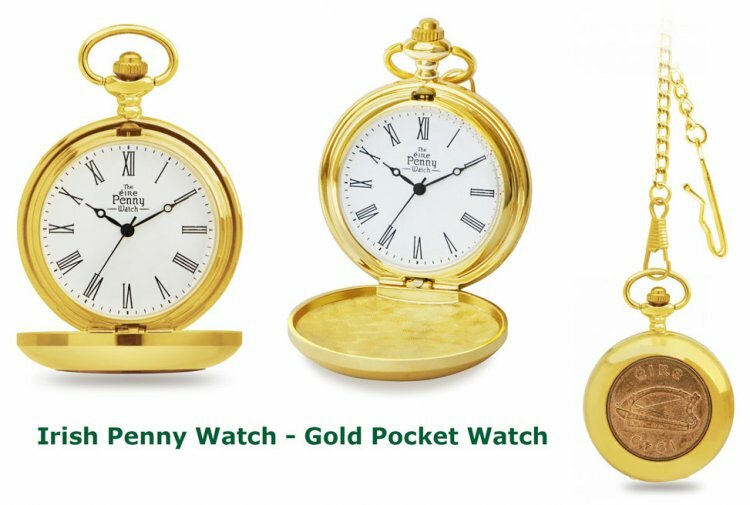 Suitable gift for a Birthday, Retirement, Christmas or any occasion. Supplied in a breathtaking presentation gift box and securely packaged for posting. Price includes postage in Ireland & UK .